Two of the world’s largest platinum mines lie just outside Rustenburg, earning it the nickname ‘Platinum City’, which is hardly a fair description of the city that started out as little more than a church and farming community centre, named as a ‘place of rest’ that still manages to retain its small town atmosphere. Rustenburg is one of the oldest towns in this part of the world. 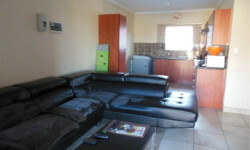 It lies surrounded by the Magaliesberg mountain range, its streets lined with the ubiquitous jacaranda tree. It’s a pretty little town, despite being a city, and there is an element of sluggishness to Rustenburg that makes it so attractive, lying as it does only 112 kilometres from Johannesburg and not far from the Sun City complex. The temperature here is normally about 4 degrees warmer than Gauteng; it’s malaria free, with access to a number of game parks, including the Kgaswane Mountain Reserve and the Pilanesberg Game Reserve, and relatively free of crime, making it an attractive option for visitors. 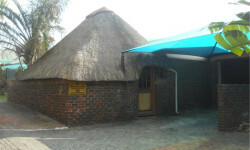 Other than game viewing, one can enjoy the Rustenburg Ramble – a meander that takes in craft galleries, farm stalls and places to eat; the Kgaswane Mountain Reserve just outside Rustenburg; the Royal Bafokeng Sports Place, one of the 2010 Fifa World Cup stadiums; and the Waterfall Mall, if shopping is necessary. If you are an avid historian there are many places within the city to visit. The Rustenburg Museum, in the Town Hall; the Anglican Church, built in 1871; and the Dutch Reformed Church, to name but a few. 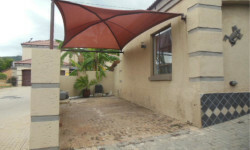 59 Steen Street, Rustenburg, North West, 0299.